This huge blue and green bottle holder was made in Russia and is signed by the artist. It features a girl in a long blue dress and green cape with a floral scarf and ornate golden headdress. 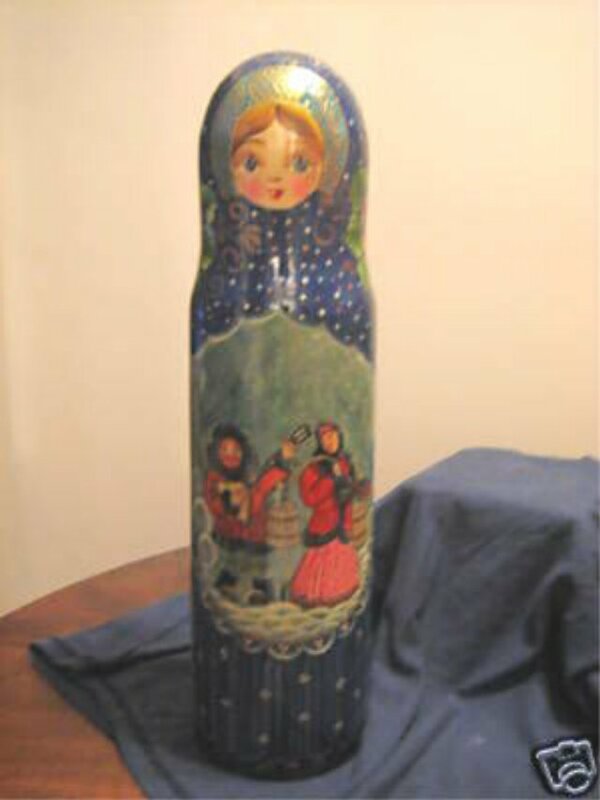 The front of the doll features a Russian man playing the balalaika to a woman carrying a yolk with wooden water buckets. This is a traditional Russian winter scene painted with glittering snow falling.